Even in the digital age, it seems that nothing can beat the personal touch. Even the most addicted to technology need a venue to meet with like minded people. What’s more, the companies who produce that technology need a venue to meet and interact with their customers! 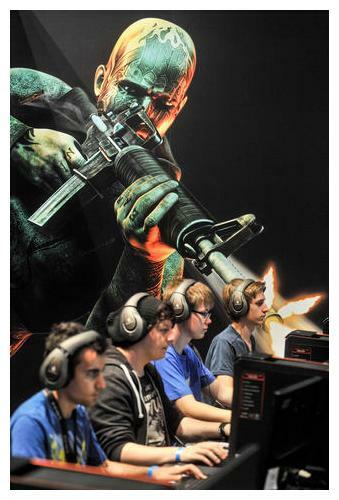 Welcome to Gamescom, Europe’s largest videogames trade fair. Spanning an area the size of 20 football pitches, Gamescon opened its doors at the end of August in Cologne (Germany). This keynote event in the gaming industry has been growing steadily every year. In 2013, the show attracted 340,000 visitors, significantly more than the 275,000 that were expected. Yet despite huge databases of client data, game developers such as EA, Activision Blizzard, Ubisoft and Sony still flock to Cologne once a year to meet their customers in person. Exhibitions it seems are re-investing themselves for the modern age and here at 200m2, we’re proud that we’re at the forefront of that change. We work with our clients to incorporate the latest technology into their exhibition stands. From audio-visual walls to and social media broadcasts, we can deliver exhibition solutions which will enable you to connect with your audiences from the show. Previous Previous post: New Exhibition Stands: Volkswagen set the standard! Next Next post: Exhibition Stand Freeze at Frieze London!